Regular users told us essentially the most crucial thing of swimming is always to manage your breathing. To get this, our head need to be aligned with our spine all the time. Swimia.com needs your feedback to ensure all the information is valid, since perhaps this pool is no longer open to the public. Most on the Chlorine Free Pools in Granja de Rocamora offer both open lanes for independent swimming and also guided activities like water aerobics or aquabike. If you are visiting Granja de Rocamora make sure you know the rules and regulation for swimming as they may not be the same as in your home town. Please check the nearest Swimming Pools or Contact us to ADD IT. It's absolutely free! 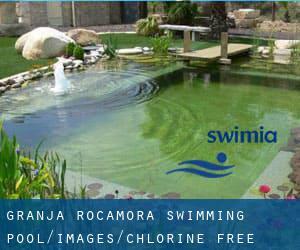 For Granja de Rocamora and its vicinity, we're showing you all of the registered Chlorine Free Pools in Granja de Rocamora, some of them have no GPS coordinates and you are not obtaining them at the map. Avda. Benicasim , Castellon de la Plana , Spain (Postal Code: 12004). Swimmers like you reported 25 meters, 7 lanes, 1 meters - 2.1 meters depth, 1 meters - 2.1 meters depth, Non-Chlorine Sanitized, Indoors. Unfortunately we do not have the email address of this Pool, but we can give you the phone number.